It seems like it was just yesterday that I first was introduced to 3D scanning as a desktop production method used for 3D printing, yet over the past two years or so, the technology has continued to evolve at rapid rates. 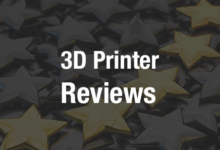 Just a few short years ago, it was rather expensive to purchase a machine capable of creating detailed 3-dimensional scans, and even some of the best consumer level 3D scanners were quite pitiful in capturing a quality 3D printable model. Fast forward to today, and there comes news from Microsoft Research Lab on a new smartphone application that might just turn the 3D scanning and printing spaces upside down. Called MobileFusion, the application can be installed on virtually any smartphone, and then used to create 3D printable models of any object without the need for any additional hardware. That’s right, the application uses only your smartphone’s camera and processor in order to generate 3-dimensional representations of objects. “What this system effectively allows us to do is to take something similar to a picture, but it’s a full 3D object,” explained Peter Ondruska a Ph.D. candidate currently studying at Oxford University, and an intern who worked on the project for Microsoft Research. The application doesn’t even require an internet connection in order to be used, making it very attractive to anyone interested in 3D design and printing. At the same time, it is a perfect and potentially very affordable solution for individuals who simply want to share and preserve their favorite moments in 3-dimensions. It allows for scientists in the field to capture objects, buildings, and elements of nature in 3D, without the need for sophisticated hardware or a connection to the internet. MobileFusion will be officially unveiled early in October at the International Symposium on Mixed and Augmented Reality, and could prove to be quite a significant breakthrough in allowing the digitalization of our planet. The idea that anyone could one day soon download an app which allows them to create a digital, 3D replication of anything they desire, could go a long way in helping 3D printing move into the mainstream. It could also provide a better method for integrating the world into virtual reality via augmentation. Two of the researchers on this project, Shahram Izadi and Pushmeet Kohli, previously gained a lot of experience and some notoriety working on a project in the past, called Kinect Fusion, which allows individuals to create 3D models of their homes, offices or even other people. However, unlike MobileFusion, it required a PC or other hardware-based gadgets to make the software work. This is a new phase in their research as they say mobile phones have now become powerful enough to operate such a system. The way the app works is that it uses a sophisticated algorithm which uses a smartphone’s camera in order to take multiple images in a similar fashion as to how the human eye functions. While the system still remains in the developmental phase, the hope is to make it available on virtually any smartphone very soon. As you can see in the video below, the system seems to work extremely well. What do you think about the potential that MobileFusion has for both those individuals interested in 3D scanning in general, as well as those who have an interest in 3D printing? Discuss in the MobileFusion Forum thread on 3DPB.com. Check out the video below for a comprehensive demonstration.